In this post we will discuss about how to resolve the error Saving changes is not permitted in sql 2008 error. This error usually comes when you try to modify in table structure and save it. 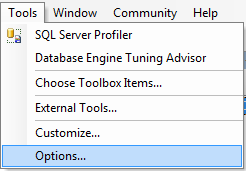 You can check some sql server articles: view in sql server 2008, Difference between primary key and foreign key in SQL server [Read here], Some Optimization Tips in sql server [Read here]. The full error message is "Saving changes is not permitted. The changes you ave made require the following tables to be dropped and re-created. 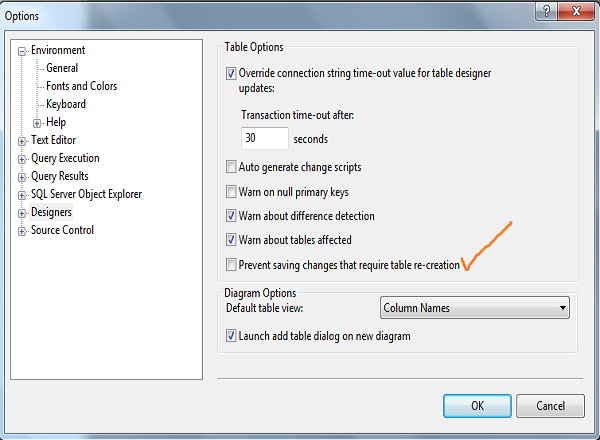 You have either made changes to a table that can't be re-created or enabled the options Prevent saving changes that require the table to be re-created". After that try saving, the error should not come.